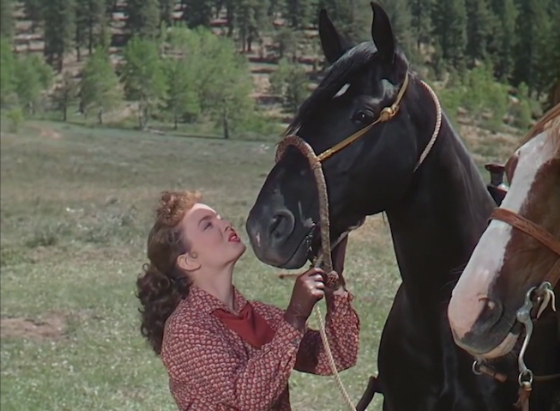 Tomboyish gal Lucy Bostel (Ann Blyth) lives with her father on his successful ranch raising horses, but her father won't let her ride his prized steed which he intends to enter into a local race. Out on the open range, a beautiful black stallion named Black Velvet is the leader of a pack of wild horses and is the fastest horse anyone has ever seen. 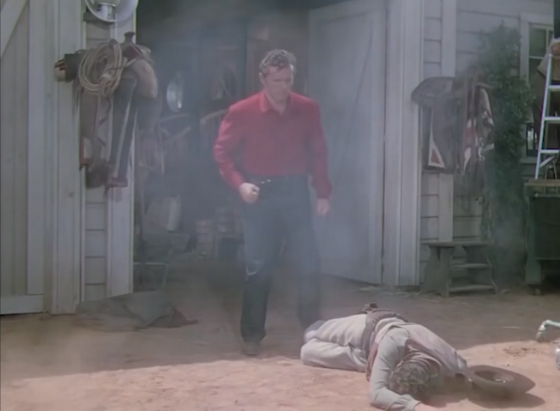 Rugged cowboy Lin (Howard Duff) enters the picture as he thinks he can capture and tame the wild stallion and turn him into a racehorse - he and Lucy team up in this persuit as she wants to ride the horse and show her father up. But Lin has a dark secret - he's travelling under an assumed name to distance himself from his outlaw family who have terrorized the area. Things then become very complicated when it turns out Lin's father raided the Bostel ranch years ago and killed Lucy's mother! 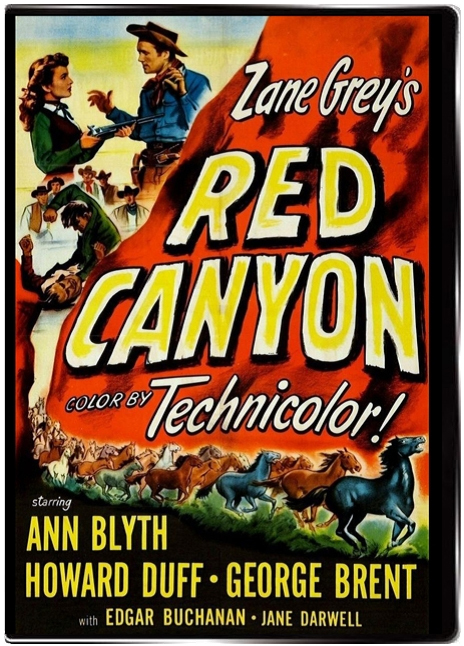 Universal Pictures splurged a little with this one going on location and using color for this entertaining B western populated with a cast of familiar western faces for Red Canyon. 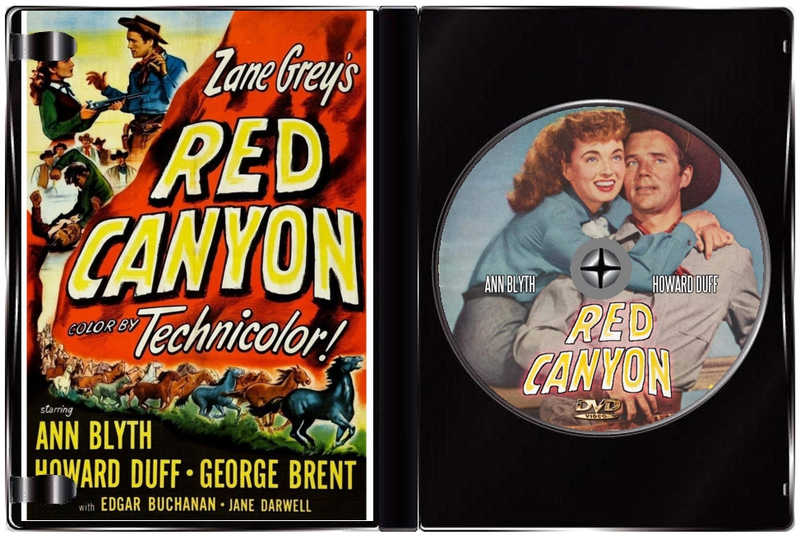 The film is based on a Zane Grey novel about a cowboy trying to catch a beautiful black stallion and leader of a pack of wild horses. 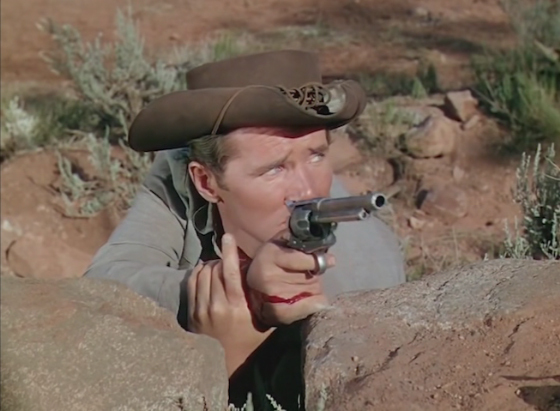 In addition to the films stars, add in folks like Jane Darwell, Edgar Buchanan, Chill Wills, and Denver Pyle - all who are most familiar western faces and in roles you would expect them to be in - and it adds up to nice western entertainment.